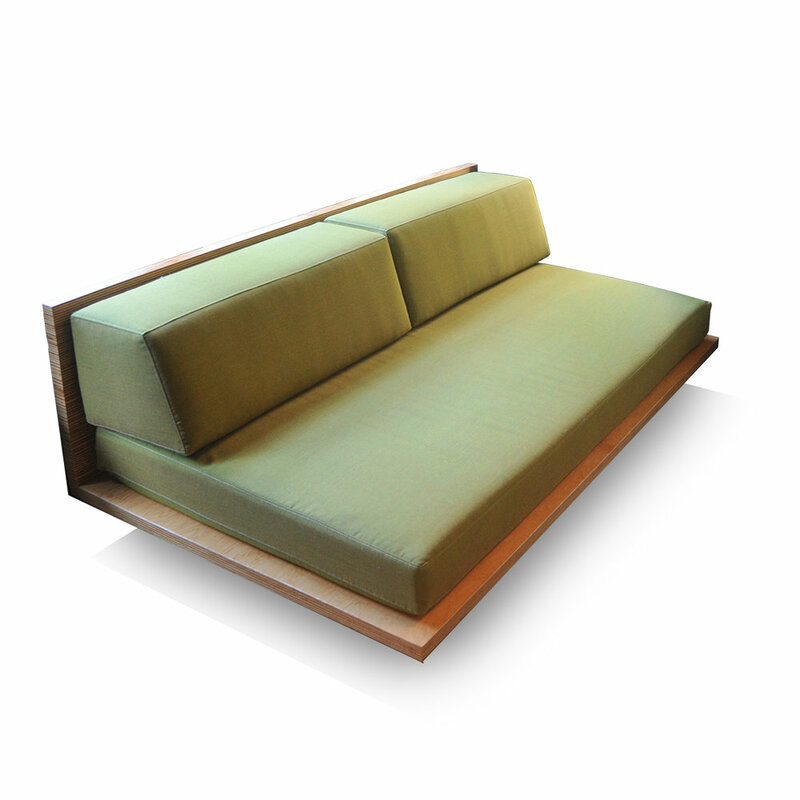 The Daybed is an elegant, low platform with headboard suitable for use as a sofa and a bed. Upholstered twin-size mattress and bolsters are included. Fabric in Mahram Kvadrit Remix, available in 49 colors.